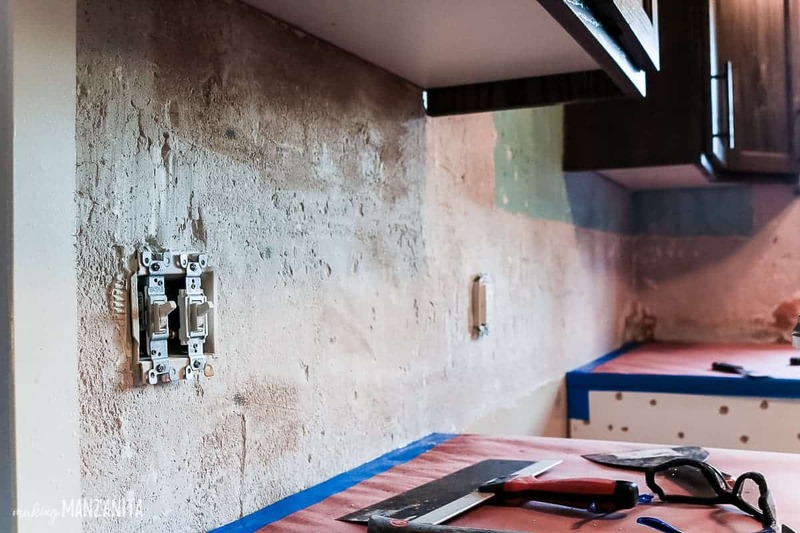 Are you getting ready to do a new kitchen backsplash, but need to do some tile removal first? 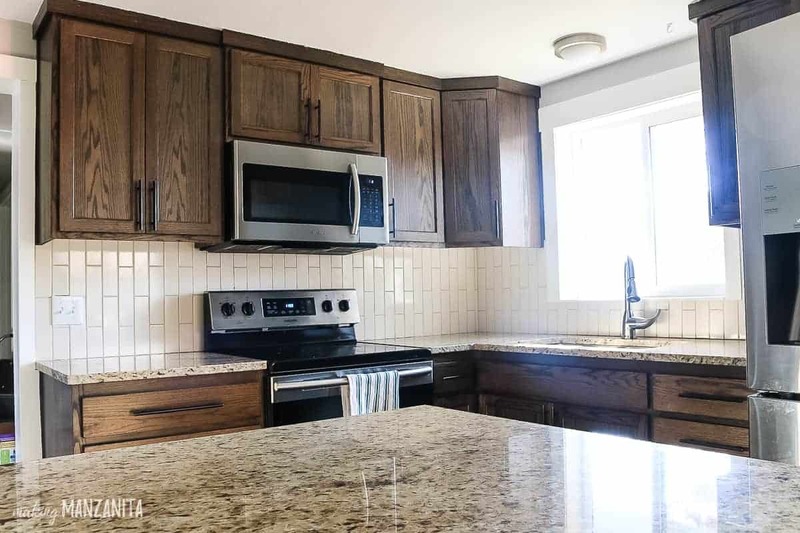 In this post, we’ll walk you through the basics how to remove tile and prep your area to install a new kitchen tile backsplash. I mentioned a couple of weeks ago that this month is going to ALL ABOUT kitchen projects. We kicked it off last week with some major inspiration of farmhouse kitchen essentials. Then shared some great ideas for industrial bar stools last week. 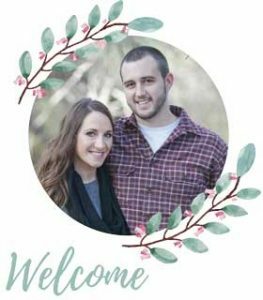 Logan is going to be stepping into today for this post…and for the record, you’re going to be hearing from him a little more on the blog front too! As you know, Logan is my other half and my DIY partner. On the projects that he primarily tackles around here, he is going to be writing the posts too. So, take it away Logan! Hi guys, Logan here. 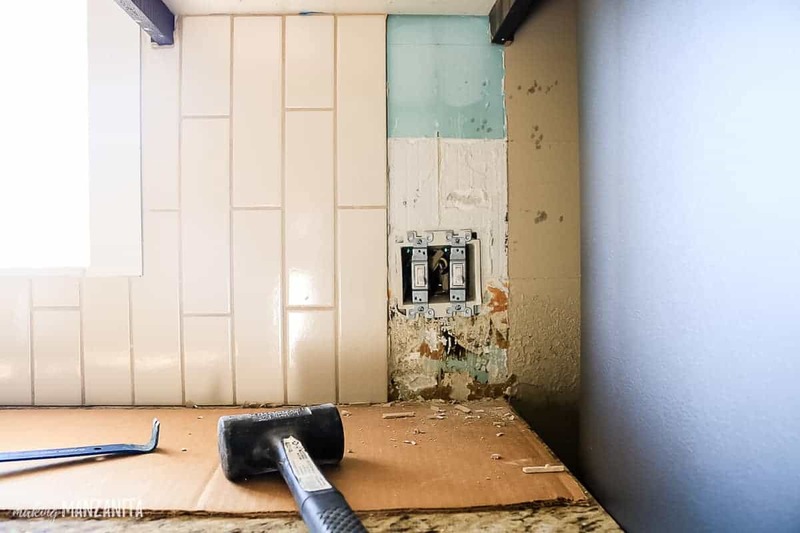 If you are installing a tile backsplash in your kitchen, there’s a good chance that you’re going to have to remove the old tile first (like we did). This can seem kind of daunting so, I thought I would really break it down for you. First, Chelsea says we always have to share before pictures in blog posts, so here is what the kitchen looked like before we got started. This post contains affiliate links, but nothing that we wouldn’t wholeheartedly recommend anyway! Read our full disclosure here. 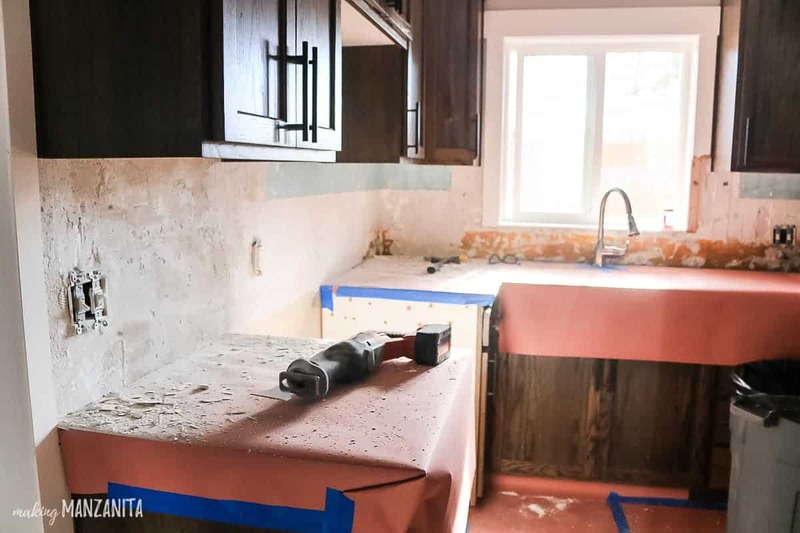 You’ll want to clear your counter tops and sink. You may want to cover up everything with Red Rosin heavy weight paper before you get started. We actually used a long piece of cardboard that we moved around with us as we worked our way around the kitchen. Tile removal is heavy and hard demo work. 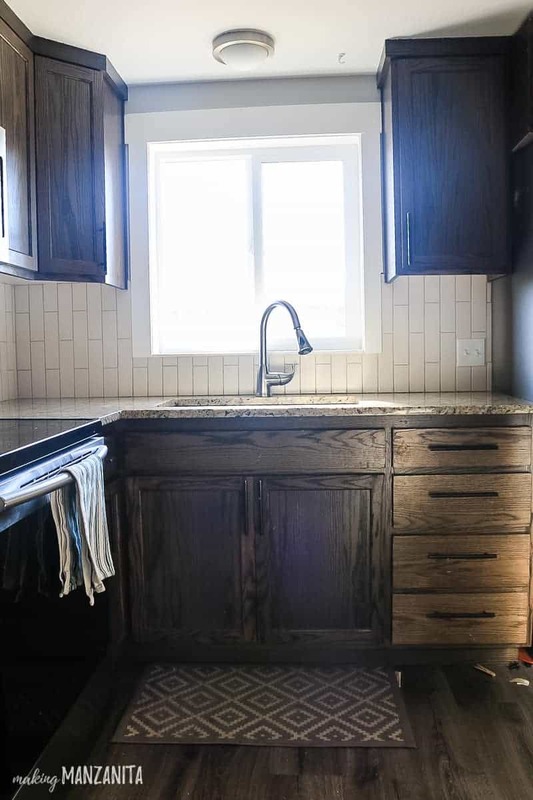 You don’t want any chips in your counter tops, sink, and faucet. Trust me, take the time to prep and protect things now. Because once you get into it, the removal debris is going to be all over your kitchen. Have a trash can near by that you can toss your tiles into and be sure to check the weight of the trash can as you go. 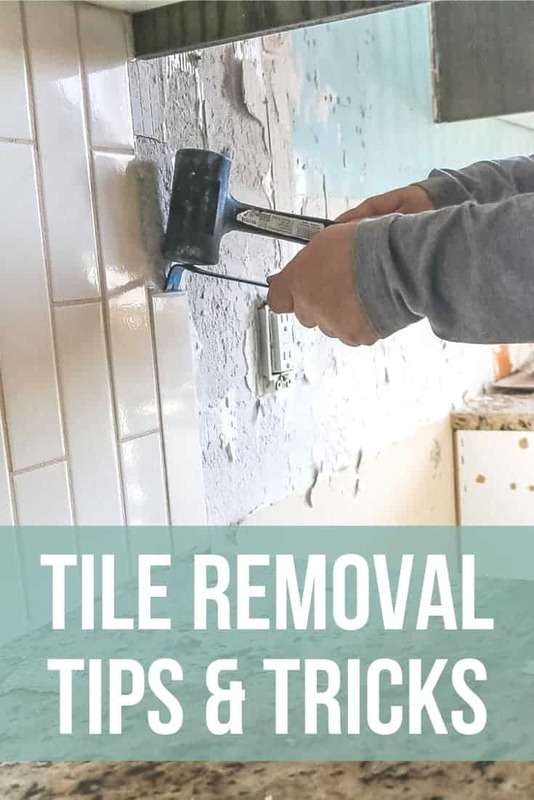 Tile becomes very heavy quickly, so you’ll need to empty the trash regularly. My wife is a slave driver so I have super rough hands. I wasn’t wearing any work gloves, but you probably should. Also don’t forget to wear safety glasses just in case any small pieces fly off while removing tiles. 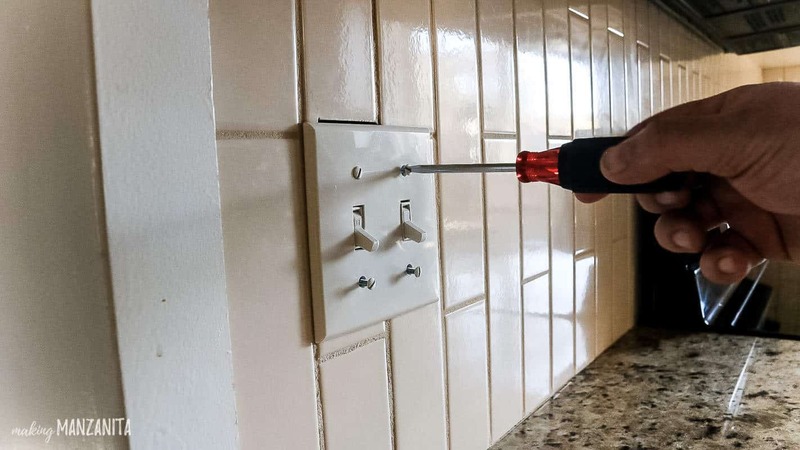 The last thing you need before you start tile removal is removing light switch & outlet covers. These will simply screw off with a screw driver. Use a Ziplock back for those and put them in a kitchen drawers so you don’t lose the little screws or the covers. With everything protected, it is time to do the tile removal. Tile will generally “pop off” if you can get behind it from the side. Take your Wonder Bar and get behind the tile, with your hammer if you need to. Next gently pry the tile off the wall. Almost all of our backsplash tile was removed this way except for a few stubborn pieces. This saves you a lot of time on the cleaning end. And there will be a lot less jagged edges that can cut you very easily. For those stubborn pieces, it really is just hammering and prying until you get it off, you know that ‘sweat’ equity part. 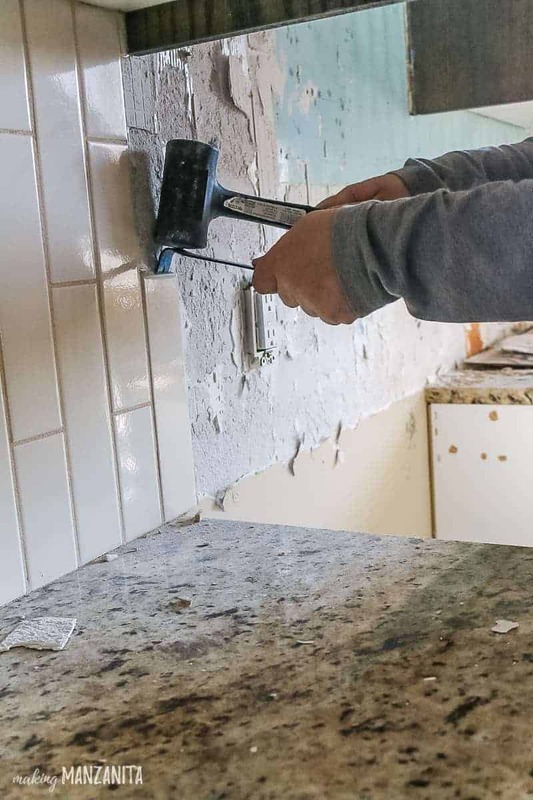 Now that your tile is removed, you’ll have left over mortar or mastic on the wall that needs to be removed as well before you start installing your new kitchen backsplash. Take your wall scraper and hammer and just start going to town to get the rest off. Note: we did end up putting down the heavy weight paper on the countertops before we started this part. The alternative here, if you have green board or drywall up and you don’t want to spend a ton of time scraping, is to just cut out the existing green board and put in new. 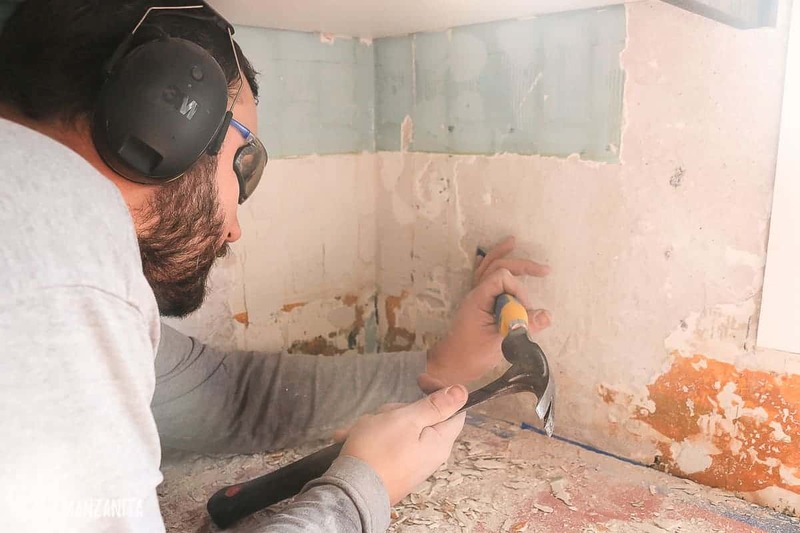 If you have drywall or green board up and it got damaged in the tile removal process, you may need to replace it. We have cinder blocks for walls in the kitchen so we really had to just scrap all the mortar off the blocks. Take the time now to really flatten your surface. Remove any high points you may have. You will need a completely flat surface when you go to install new tile (more on that next week). That’s it! There isn’t a lot to tile removal, but it is labor intensive work. You could also take a large hammer and break and chisel the tile into tiny pieces. But I think you’ll find taking some extra time to pry off whole tiles is cleaner and safer. This is pretty important in our house since we have a couple of kids running around the house. 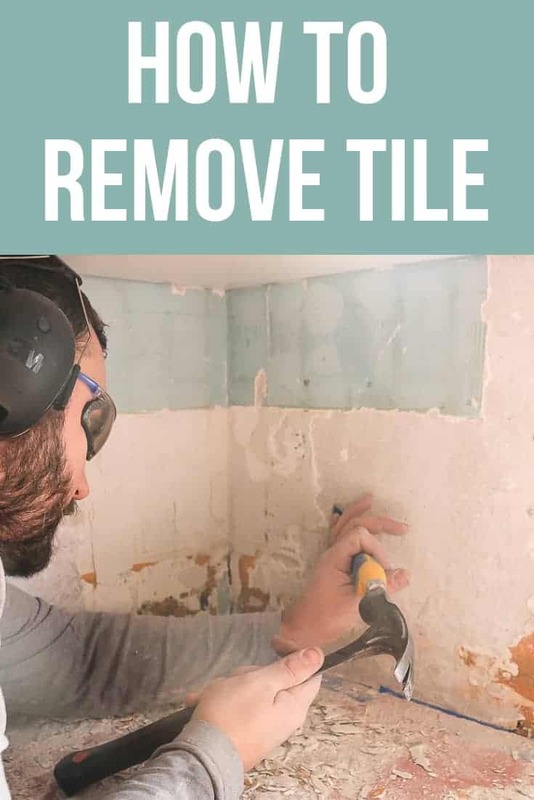 Even if you’re not going to be tackling the new tile installation yourself and you’re hiring that part out – you can still save a ton of money by doing the demo and removal of the tile yourself. It is definitely an easy DIY project for even a beginner to tackle because you don’t need much experience or access to many tools. Now that you’ve got all of your tile removed, move on to part 2 of this series to learn how to tile a backsplash! 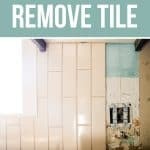 Are you going to do some tile removal in your house?